Castrol's Nexcel tech means you'll be able to easily swap oil in and out of your future car - in as little as 90 seconds. Although it's only in the Aston Martin Vulcansupercar for now, the potential is there for it to be in road cars in less than five years. Castrol openly admits it is talking to various manufacturers about using the tech. The tech has three major benefits - a reduction in carbon dioxide (CO2) emissions through more precision engineered oils, a rapid oil change and easier oil recycling; the used capsules can be collected after use, and the oil re-refined. According to Castrol, ifNexcel was fitted onto every car in the world, it would save more than 200,000 road tankers of virgin oil from being produced annually. "The distribution and collection system makes sure the oil cells get to the right place at the right time", explained Castrol's Chief EngineerOliver Taylor in a call with T3.com. "The cell itself is designed to be reused and the oil that comes back will be refined or cleaned and can then be used as a universal lubricant. It's less intensive than refinining virgin stock." The system oil flow has been tested up to 600 litres a minute –10 to 20 times greater than seen in a conventional passenger car engine. 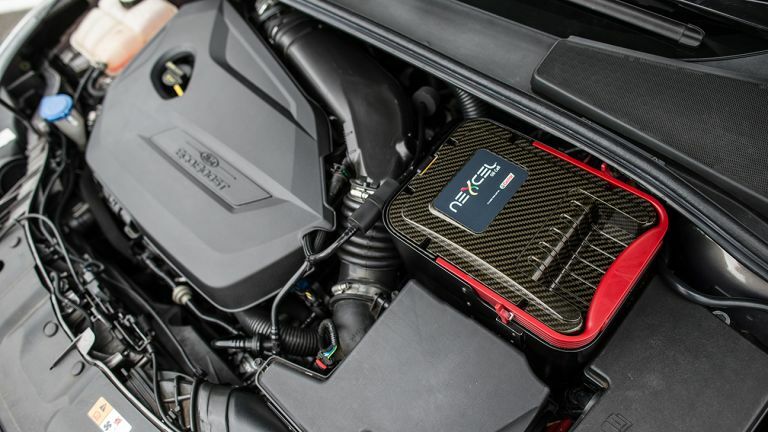 The Nexcel system has been tested on a range of engines from very small city cars to high-powered racing engines even under severe braking of up to 1.8G (the equivalent of a vehicle travelling at 100km/h stopping dead in 1.6 seconds). As for the Aston Martin collaboration, Taylor expained that it's a normal route to use a technology like this in a high performance vehicle first. "We approached Aston Martin around two years ago. They believed [in the system] and its role in the future of engine lubrication and it was decided back then that it would be used in a future high performance Aston Martin, which turned out to be the Aston Martin Vulcan." We'll bring you more from Castrol's Oliver Taylor in a longer interview piece soon on T3.com.